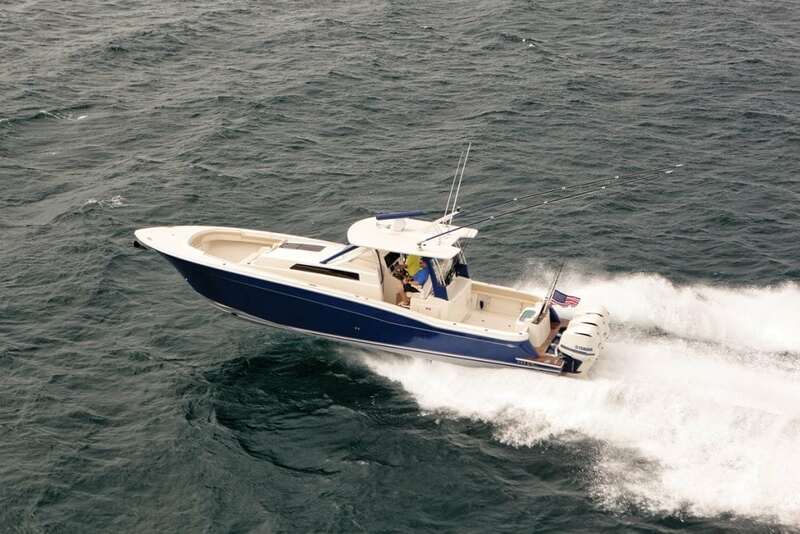 The Sea Force IX 41.5 Sport Center Console (41’8″ LOA, 12′ beam) comes loaded with features like dual transom dive/boarding doors and an electric head. Other features include the 16,000 BTU air conditioning in the cabin/console, which also is plumbed to the helm area, refrigerator and 440-pound-per-day ice chipper with above-deck dump. you there in style, this tournament ready sportfish will be equally well suited to the yacht tender and Caribbean cruising markets. Powered by triple 350-hp Yamahas, she runs to a top speed of 55 mph and cruises at 35 mph with a 400-mile range.